VoteMate is a free platform that connects voter and candidate. Here's why you, as a candidate or campaign agent, should sign up. All candidates in Metro Vancouver are represented on VoteMate by a profile. A candidate or authorised campaign agent can sign up to manage their candidate profile and add more details. Details include the candidates' biography, photograph, personal or campaign contact info, social media, and vision for their municipality. Only a few of these details are filled out by default, so we recommend that candidates sign up to complete their profile. Candidates on VoteMate can add upcoming events that they are holding. They can also confirm that they will attend an All Candidates Meeting. Both candidates and their campaign managers can add events. Voters on VoteMate can ask questions of any candidate in their riding. Candidates who are on VoteMate can respond and continue the discussion. Only candidates, and not their campaign managers or agents, can respond to user questions. This is to keep the discussion authentic. 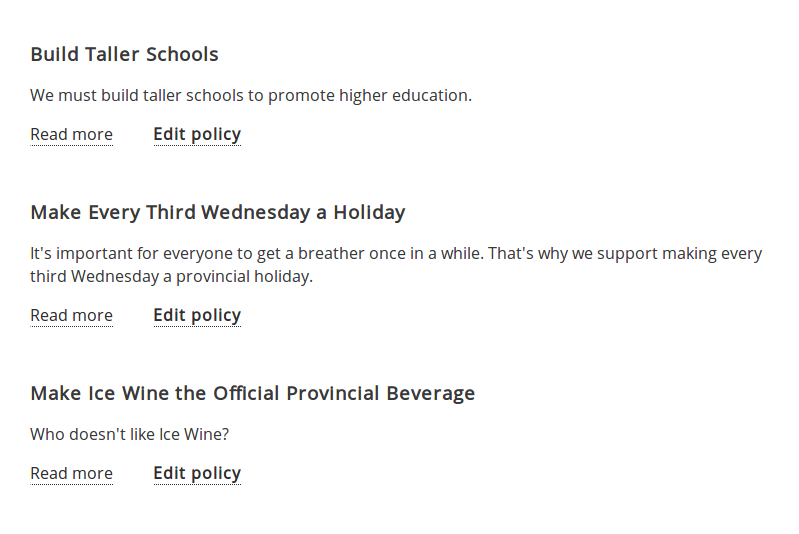 Candidates on VoteMate can list their policies on various issues. Voters use this to inform their choice. Both candidates and their campaign managers can add or modify candidate policies. By default, we just use the policies of the candidate's party. Because we have no reliable datasource for the policies of independent candidates, outside of their own input, we strongly suggest that independents sign up and fill out this info. Got questions? Please send us an email, at hello@votemate.org.